By the time you are reading this blog I will be on my way to Melbourne to see the “70 years of Dior” exhibition at the National Gallery of Victoria! I don’t know about you but I love couture and I am so excited to see these amazing pieces of fashion history! I love Chanel, I love Dior, I love YSL… I love them all! Having visited Paris earlier this year, I had the absolute joy of visiting Chanel’s original apartment and studio at 31 Rue Cambon (I will tell that full story another day! )…but seriously anything from the beautiful Parisian fashion houses just gets me excited. What I love most when I get the chance to see these pieces up close is the level of detail. The finishing touches on couture are stunning. The fine hand stitching, the hidden monograms, the delicate lining…so much care has been taken in the finer details. Every part of a Chanel or Dior outfit has been meticulously put together and so it got me thinking about you and your style. We are entering the party season. There are of course the races over the coming weeks, there are graduations, weddings, work parties & Christmas celebrations – it is the stylish season indeed and so I want to help you put together a stunning style and let me tell you…it’s all about the details! The key to styling is found in the details, so when choosing your outfit think about the complete look – head to toe. Accessories and grooming are vital to finishing your look well. You can have the most amazing manicure but if your shoes have got dirt or blemishes or abrasions on them it will bring down your entire look. If you put together an outfit that looks fabulous but then you put the wrong accessories on, it will bring down the value of your look. The key to a stunning style this summer for races, for Christmas parties, for graduations is all found in the detail. 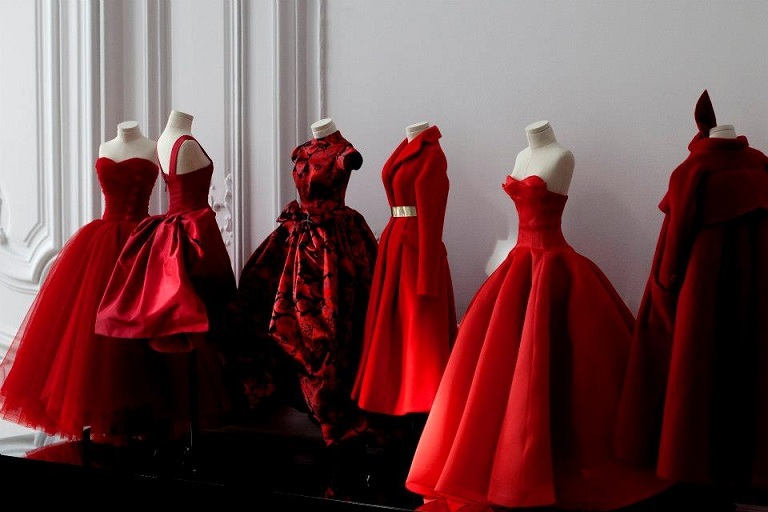 Just like the beautiful gowns I’m seeing at the Dior exhibit. These designers paved the way for all future fashion because they added the beautiful little touches that no one else had thought of. So when putting your outfit together whatever the occasion, make sure you add in the finishing touches that no one else would think to put on. Beautiful grooming is not optional. Clean & freshly styled hair. A manicure doesn’t have to be a full set of acrylic nails…just a lick of clear polish will do the trick to make your hands look fresh. But if you can get your nails done – do it! Shave, wax or whatever…just make sure you remove hair from those places…yes all of those places! A pedicure is a must. As are clean shoes & accessories that compliment your outfit. Take these styling tips and use them this party season and trust me… you will have to get good at saying thank you to all the compliments that will come your way because of your stunning style. 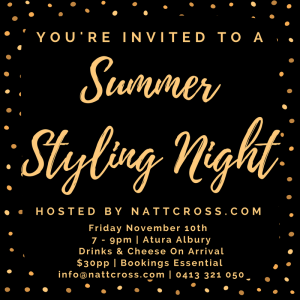 Before I end this blog, I want to let you know that next week I am hosting a Summer Styling Night and you are invited! It will be a lot of fun and I am going to be sharing more tips and tricks to get you looking stunning for the stylish season as well as showcasing the most amazing pieces. I hope you can come, see the below picture for more details.